Curated by Carly: The perfect Fourth of July cake! The perfect Fourth of July cake! Look at what the geniuses at Betty Crocker concocted! 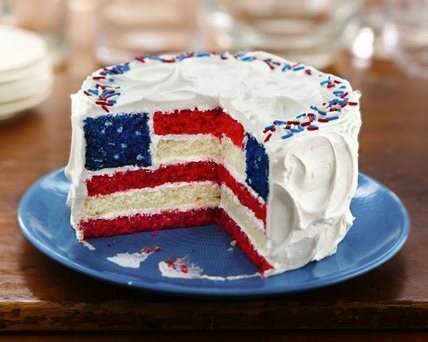 This exquisite American Flag cake would be the highlight at any Independence Day celebration. You don't have to be a pastry chef to create this work of art. Follow the simple step-by-step instructions on Betty Crocker's site. With a few basic ingredients, you can look like a pastry pro at your Fourth of July get-together!